Sydney Shop Girl: Continental Drift 1/10/2018: A Day In The Life. There are two kinds of 'day in the life' routines for me: the one for when I'm working and the one for my days off / the weekend. I love structure and routine so there is plenty of similarity between the days. Here's a rundown of both in a kind of 'choose your own adventure' format. 4.15am: when my alarm goes off during the week. If it's a work day I will myself out of bed as I listen to BBC News Radio then get dressed for the gym or a run and weights at home. If I don't get my exercise in at this crazy hour, it won't get done and I'll feel pretty ordinary for the rest of the day. I'm also a morning person and love the possibility that morning brings as the sun rises on a new day. I mean this sincerely and I write it without a hint of sarcasm. 6.00am: breakfast. Currently a variation of baked oats with yoghurt and berries plus a multivitamin and and a cup of tea. On Saturdays, however, we head to the Kings Cross markets for breakfast, babycinos and coffee. 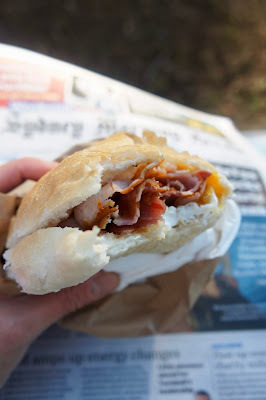 I'm a fifty split between a bacon and egg roll or an almond croissant to go with my coffee. 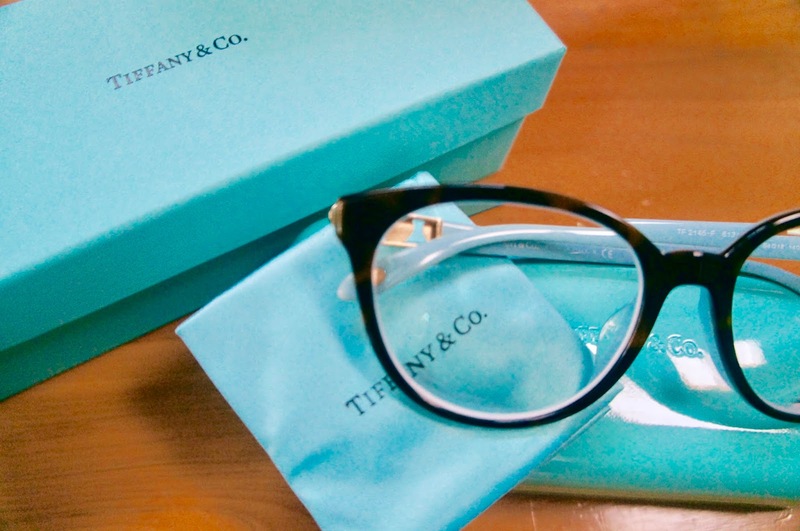 The only element of the unpredictable in my routine is which of these I'll choose on the day. If it's a work day, I'm getting myself ready for work in parallel to a soundtrack of easy listening breakfast radio. 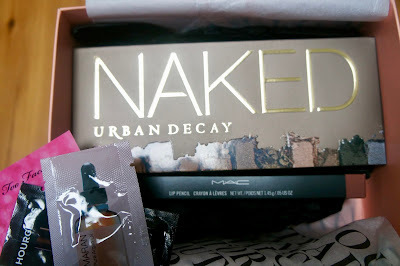 - concealer to help me look more rested and radiant than I often am. We're often starting at a low base here so high performance makeup is mandatory . - I spritz myself with perfume and then get out the door with Master SSG way, way, way past the 7am of my dreams. 7:30am: school drop off. It takes 5 minutes to drive to school and another 5 to find a place to park as I negotiate with builders, local residents, gardeners and personal trainers for a prized park on the street where Master SSG's designated drop off is located. I sign him in for before school care and am that person who has the special snow flake tendency to write the time in 24 hour time. I get a tiny hug and then I'm off with the rest of Sydney to hit the road for work. 8.00am on a work day: get to work, unpack, get myself a mug of instant coffee and then do some pre reading and get to emails before hitting the ward. No two days are quite the same but I do make the rule that no matter how crazy it gets, we break for lunch. On a good day, I'll be homeward bound around 5pm. I go on call every couple of weeks which involves taking calls from home until 8am the next morning. 8:00 am: on my days off see me living what I imagine is the SAHM dream. I drift off in my car after drop off and head for the local Westfield. I do my thing at the gym, have a coffee post gym then drift through the supermarket as a solitary entity with that beatific smile on my face of a woman who has a few hours up her sleeve before school pick up. I try not to stop at any of the more exciting stores that Westfield also houses but I'm not always successful. I then return home to the laundry, meal prep and life admin. I'm just putting this photo of my iron and ironing board in at this point to represent wishful thinking and what coud be because it's been years since I've ironed anything myself. If anything absolutely has to be pressed these days, I do the walk of shame to my dry cleaner who makes it all effortlessly happen. 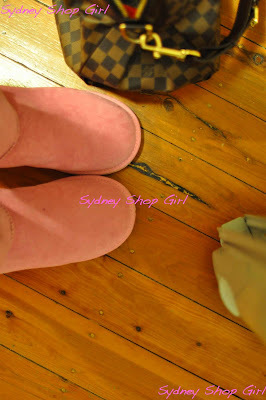 Just walking around in bare feet in search of my ugg boots brings serenity to my soul. Standing for a few minutes under my super hot shower revives me further. We mostly eat dinner at home and I avoid takeaways as much as I can. We tend to eat out for a few meals over the weekend so I like to balance things out a bit during the week. 8:00pm: after an hour or so of reading, homework and other homework also known as educational YouTube videos, it's time for bed before we do this all over again from the crack of dawn tomorrow! What does your 'average' day look like? Are you an early bird or a night owl or somewhat more balanced than the two? 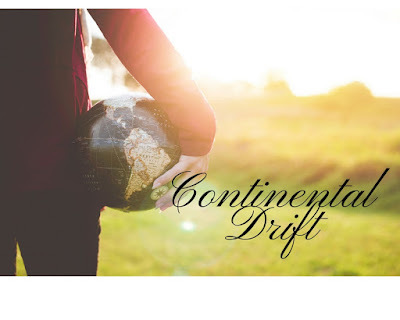 Welcome to our Continental Drift linkup! The reason we are dabbling at a link up was that we wanted to connect and learn from bloggers from all across the world about their passions and lifestyle. We will host the Continental Drift link-up the first of every month. The concept for myself and my fellow hosts (Mutton Style & Bo’s Bodacious Blog) is that we, the hosts, will write a post about our life on our continent/Country/state over the past month (hence the name) and our favorite thing from the month. From June 1st we began writing around a prompt. You are welcome to join us using the prompt or link-up with any family friendly topic that you like, be it DIY, cooking, sewing, crafts, lifestyle, de-cluttering, traveling, moving homes, fashion, style, beauty, make up, etc. Your hosts to this linkup come from UK, Canada and Australia. Enjoy getting to know each other! Lately, I am really appreciating reading the daily routines of others! I find structure super important even on my days off, too. Otherwise, I would never get it all done! Thanks for sharing! Oh SSG, yours is the second of three DITLOs and I'm already exhausted. I'm going to take a nap before heading over to Canada's day! Hugs, x.
Super fun to read this account of your day! I had to laugh at the iron part. I rarely iron now too, but there's an occasional steamer that I use when I have to!! I iron about once a month when I have a pile big enough. Batch ironing you could call it. I really enjoyed your day. It's amazing how we bloggers are so busy in our real lives too. Your 4:15 am calls would kill me! I don't think I could make it to 9 pm, hahahaha. I love the balance you showed between your workdays and your at home days, that's so awesome. This would be a dream, even if I had one middle of the week day off, I feel like alone at home I could accomplish so much and free more time for family. Like you, I avoid takeout so cooking takes a good chunk of my time.e and energy.